Two basic machines at a good price with some unique pros and cons. They offer the basic features you need to successfully bake a variety of breads from traditional loaves to gluten-free and also have dough settings and settings for jams and jellies. However, there are some differences that you should take note of related to some unique features, characteristics and owner comments that might affect your purchase decision. 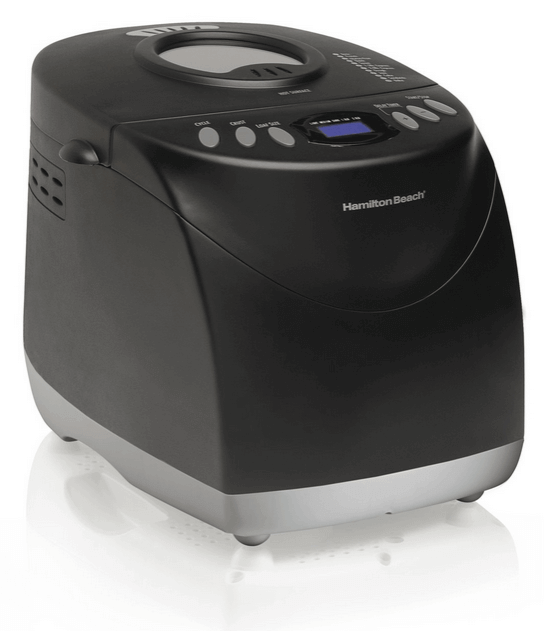 The Hamilton Beach Homebaker Bread Machine Model Number 29882 is available in Black and measures 12.4 x 16.4 x 12.8 inches and weighs 12.8 pounds. It has 12 settings including gluten-free and whole grain. It features a window in the lid for easy viewing while you bake, and comes with an extra kneading paddle and an excellent book of recipes. It is a very good value and its simplicity makes it a good choice for a first-time bread machine. It will bake loaves from 1 to 1.5 to 2.5 pounds. 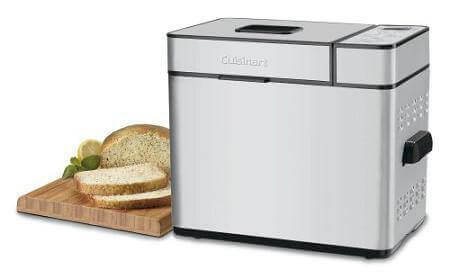 There’s a significant weight difference between the Cuisinart and the Hamilton Beach bread machines. 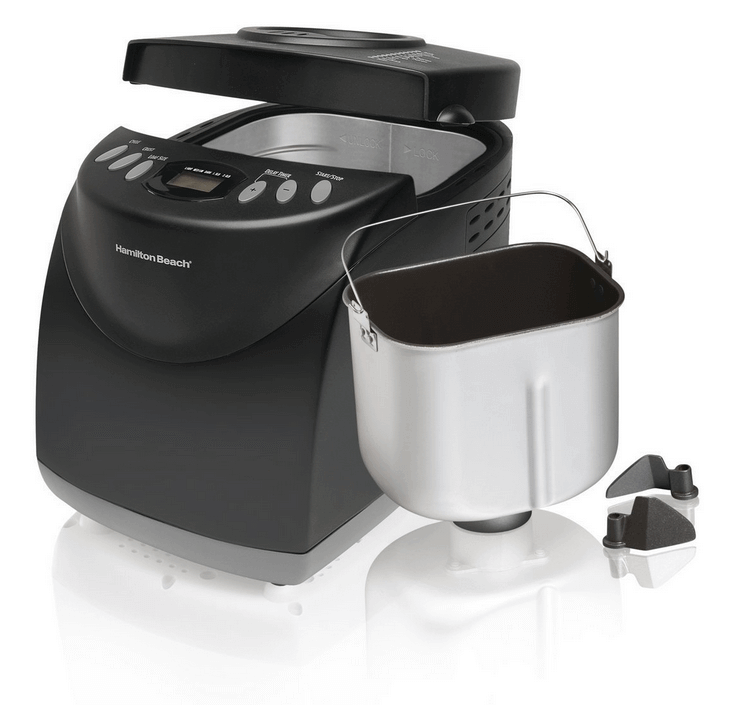 The Hamilton Beach is lighter at about 13 pound while the Cuisinart weighs 22 pounds. The weight of a machine actually is important and typically, the heavier the better. The reason is related to the vibration caused during the dough kneading process. A large ball of dough for a two pound loaf can actually make a lighter machine move across a surface due to the vibration and the inertia of the dough spinning on the kneading paddle. There were some comments about the Hamilton Beach having this problem due to it’s relatively light weight. However, most Hamilton Beach owners were happy with their results. The overall size and height of the Hamilton Beach bread machine created a problem for some owners. They said that they had a difficult time finding space in their kitchens underneath cabinets due to its 18 inch height. When the bread machine lid is opened it adds more height to the space needed for the machine. If you have a compact kitchen with limited counter space you might want to reconsider a tall machine like the Hamilton Beach. Both machines are low-priced considering their features which includes a viewing window in the lid, 12 settings including gluten-free. Previous owners are generally positive about the results that the machines produce although there were significant complaints about the instruction book for the Cuisinart. That’s no small matter considering that some of the instructions were incorrect in terms of ingredient quantities and settings. The Hamilton Beach instruction book received high marks. It’s very odd for a basic flaw with a bread machine to be determined by the instruction book. Both machines are single paddle bread makers although the Hamilton Beach actually comes with two paddles in case you lose or break one. Given some of the issues that bread machine owners have had in the past with kneading paddle replacement across a variety of brands, this is an interesting plus. Most bread machines come with a 1-year limited warranty. Curiously, the Cuisinart has a 3-year limited warranty. An interesting difference across the category of many bread machines. 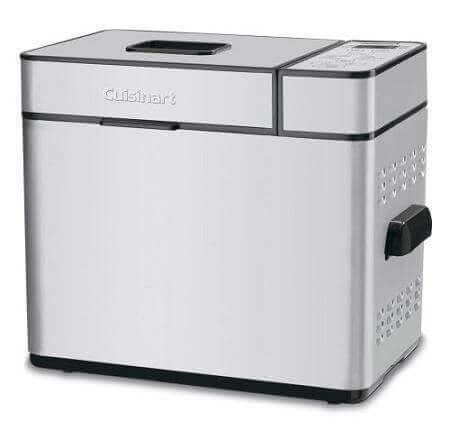 Both machines make a vertical loaf but the Hamilton Beach bread machine will make a loaf up to 2.5 pounds while the top limit for loaf size with the Cuisinart is 2 pounds. This isn’t a significant difference but if you prefer a larger loaf the Hamilton Beach will provide it. This also explains the taller height of the Hamilton Beach. If you’re considering a bread machine for the first time, and aren’t sure how much you will continue to use it -these two machines give you some excellent options for a low price. If someday you decide that you want more options or want to broaden your recipe experimentation you can always trade up to a higher priced machine without sacrificing too much of an investment in your first machine. I just wish Cuisinart had done a better job with their recipe/instruction book. I’ve never seen such a consistent pattern of complaints about something as fundamental as instructions. 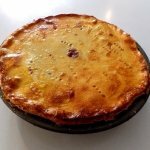 You could always find recipes on the Internet or try some of the recipes we have listed here on breadmakermachines.com. They’ll work fine in the Cuisinart or the Hamilton Beach and all have been kitchen tested.